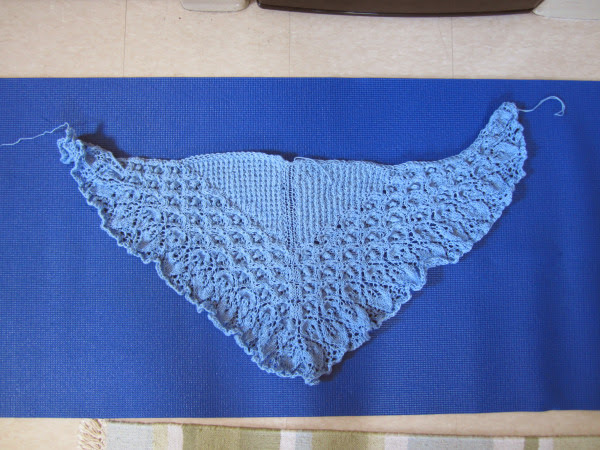 I finally finished the shawl that caused more headaches than happiness, which is always sort of disheartening. 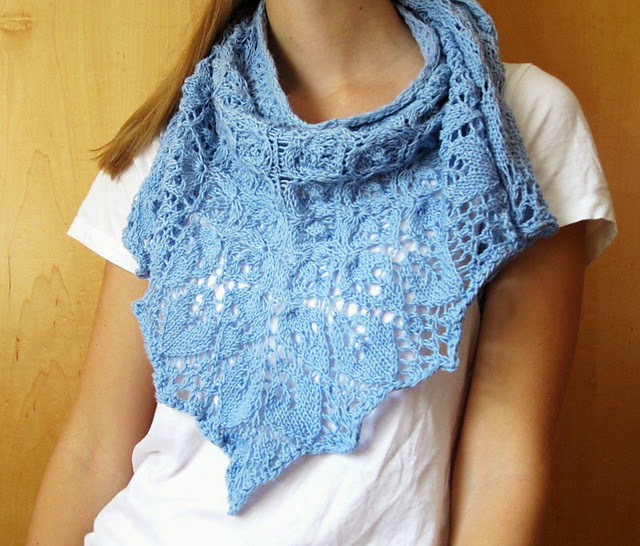 It really had nothing to do with the pattern and more to do with the fact that I'm a distracted, impatient knitter. 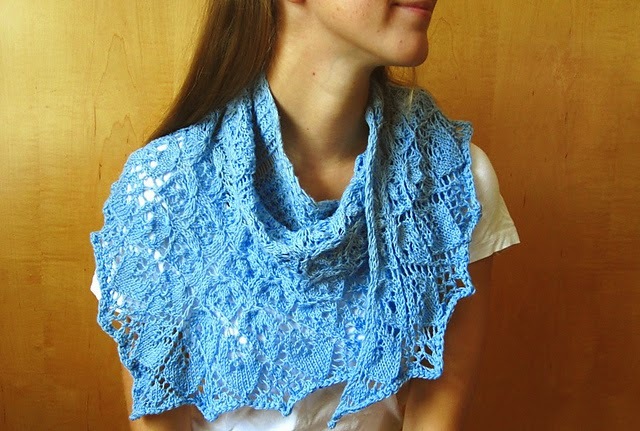 Nevertheless, despite the mistakes I'm sure exist in the shawl it looks pretty normal. 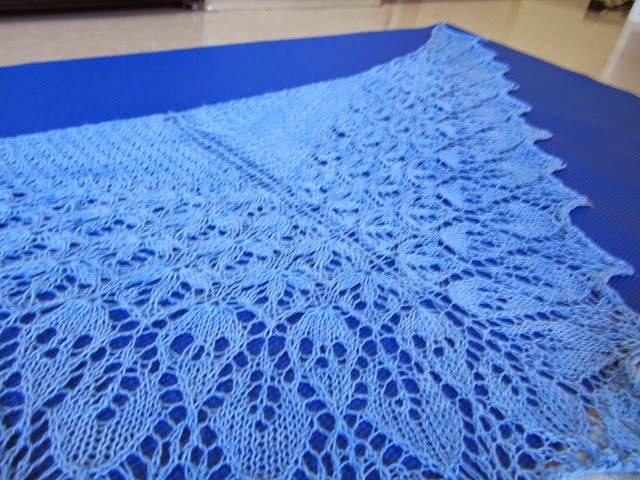 I'm not normally one to wear shawls and will probably attempt to wear this as some sort of scarf, but the binding off on a shawl and watching it grow when blocking is just my favorite thing. 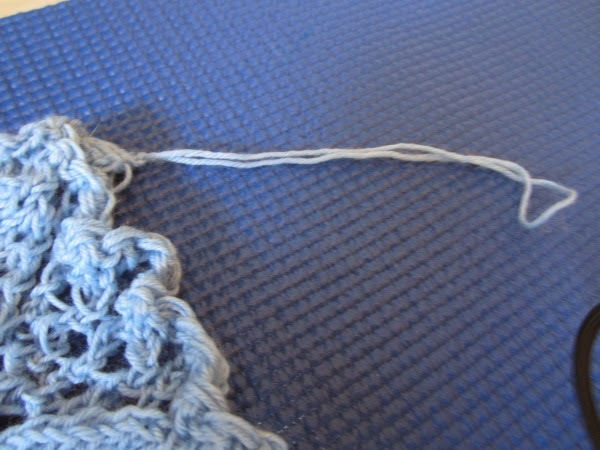 I literally had less than three inches left of yarn at the end. 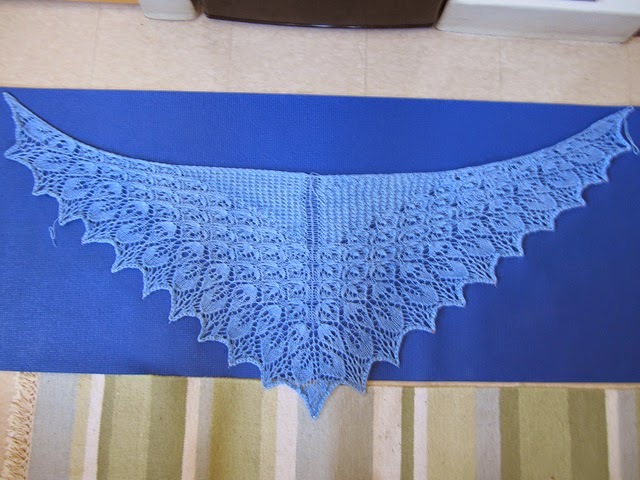 I don't think I've ever cut any knitting project so close. 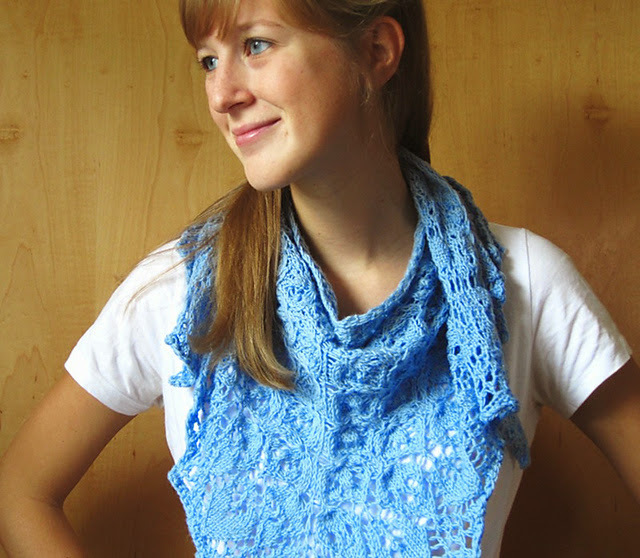 I'm not super crazy about the motifs, and I'm not super crazy about the way it looks as a scarf. 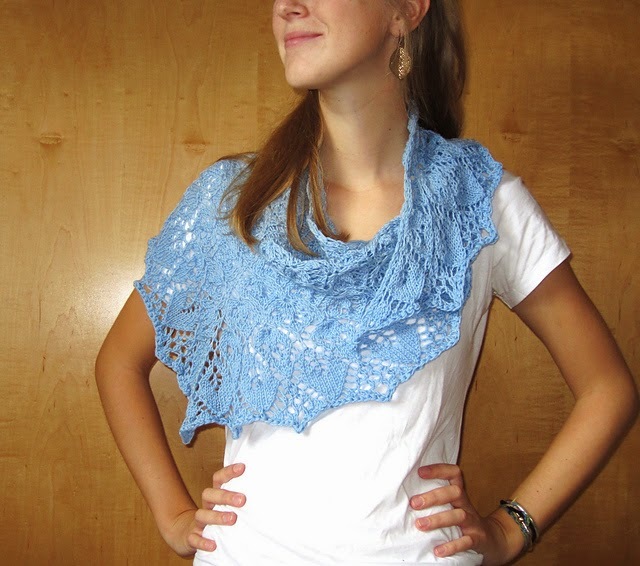 But the experience I gained while knitting it will hopefully be worth it. The only difficult thing about the pattern was that there were double yarn overs and triple yarn overs, but, eventually, I was able to handle them correctly. That has got to be one of the best blocking jobs I have ever seen, those points are sharp! Blue is also your color!